One of the hardest parts of recruiting event sponsors is knowing where to look! Your approach should not be to search for any potential partners but rather to find companies who are specifically interested in sponsoring events. It’s a subtle yet significant difference. Have a look below for guidance on getting both you and your event in front of the ideal sponsor/s. The face of a child never occurs to me when someone speaks of cancer. Yet, 700 children (and their families) worldwide receive that devastating diagnosis each year. Alex's Lemonade Stand Foundation was started by a 4-year old battling neuroblastoma. She wanted to give "her doctors and hospital" money to help other kids like her. There’s more on Alex’s non-profit, below. Even interested companies will only only buy-in if they understand your event’s goals and vision. Being able to clearly communicate these values will be crucial in helping you find companies interested in sponsorship. 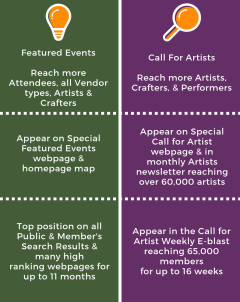 There's another effective and targeted way to connect with over 67,000 artists and crafters who currently receive the FestivalNet.com "Call For Artists" Email Blast every week. Choose to be in the e-blast for one to four months plus get listed in our special Call For Artists Web-Page. We also offer extensive linking to the Call For Artists web page throughout FestivalNet.com and in other email newsletters, including our Artists Newsletter that reaches 62,000 emails monthly! Check it out! Like what you hear, but don't know which would benefit you? Check out this side-by-side comparison and as always, get in touch if you need some help. It's my (Marisa) honor to have chosen this month's Giving Tree recipient: Alex's Lemonade Stand Foundation for Childhood Cancer. ALSF started with one lemonade stand, hosted by founder Alexandra ‘Alex' Scott in her front yard. She was four and raised $2,000. She died at eight in 2004 of neuroblastoma. In her too short, but extraordinary life, Alex raised $1,000,000 and inspired a legacy of hope and cures for pediatric cancer. Alex's Lemonade Stand Foundation will receive a portion of FestivalNet's gross profits this month. See all our apples up on our Giving Tree page! 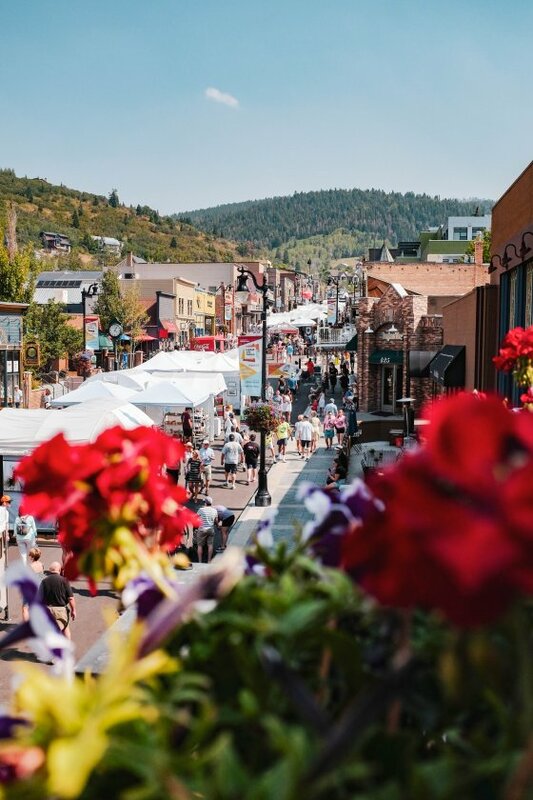 We're always seeking articles about working in the festival biz: tips, ideas, & resources. Send to: news@festivalnet.com, put "FestivalNet Newsletter" in the subject. To ensure delivery of newsletters, please add news@festivalnet.com to your email address book.